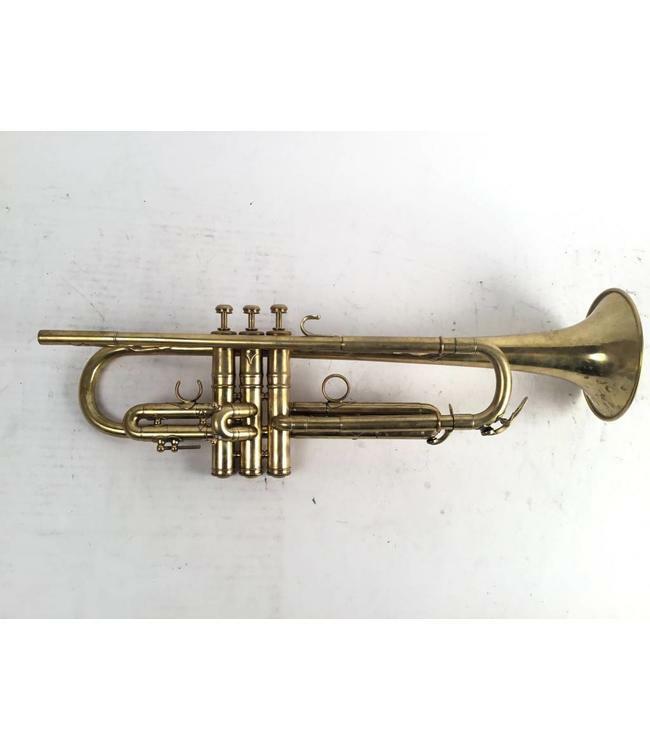 Used Conn 2B Bb trumpet in raw brass. This trumpet is in good condition with some repair evidence throughout, not affecting play ability. No case.